Whiplash from an Auto Injury? Whiplash, usually from an Auto Injury, is a severe sprain or strain in the neck. As you can imagine, when an external force whips the cervical spine beyond its normal range of motion, there will be pain. Whiplash from an Auto Injury is one of the most common injuries from car accidents and is often hardest to treat. Nearly 300,000 whiplash injuries occur each year. Pain Management Specialist Dr. Paul Daigle answers your questions regarding whiplash from auto injury. People usually assume whiplash is only from an auto accident, and while that is a common cause, it is not the only one. A sports injury, amusement parks, physical abuse or getting in a fight (professional or otherwise) can be a cause for whiplash. Intense, abrupt flexing and extension of the neck can cause the structures in your neck; including discs, ligaments, muscles or nerves to be damaged. After a car accident or other injury, parts of your body will become inflamed and you will experience swelling, pain and restriction of movement. What are the usual problems from an Auto Injury? How Long Does It Take to Treat an Auto Injury? Treatment time depends on the extent of the injury. Without proper treatment, some injuries can continue to cause pain for years. As the soft tissue starts to heal, scar tissues is created. If your spine is not re-aligned before scarring tissue sets, it can lead to spinal degeneration. What is the Best Treatment Method for Auto Injury? There are various treatment methods available, including prescribed medication; but none of the medications will fix your alignment issues. A better drug free, non-surgical treatment approach is chiropractic. Chiropractic care is the better choice to bring your body back into proper alignment and allow your body to heal itself. 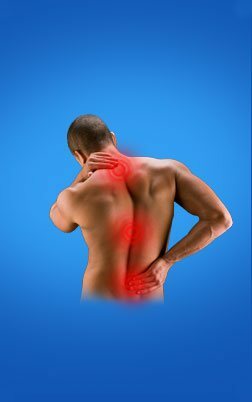 A Chiropractor will perform gentle spinal manipulation and some other techniques to restore your body to normal motion. Why Choose Chiropractic Treatment for an Auto Injury? When Do I Start Treatment for an Auto Injury? It is highly recommended to begin chiropractic treatment as soon as possible following an auto accident. While drug prescriptions and braces will only mask the pain, chiropractic treatment will actually help the problem and immediately reduce your pain and swelling. Chiropractic treatment after auto injury is the right decision to bring your body back into proper alignment and avoid the side effects from medications. If you are in an auto accident, call this number 978.441.0600 to get relief today. Have more questions? Email us: drdaigle@centralstreetchiropractic.com.